When market research company Behaviour & Attitudes (B&A) was established in 1985, it quickly set about establishing strong relationships with a number of clients. Three years later, the company wanted to engineer a way to mark those relationships, and while most companies were sticking to a bottle of wine and a Christmas card, B&A was a bit more innovative than that. In fact, since 1988 B&A has sent commissioned, original art prints to its clients – images which have been designed by some very high profile artists over the years. William Crozier, John Behan, Maria Simonds-Gooding, and Brian Bourke have been among the commissioned artists. “We were trying to say to our clients that we appreciate the business, trying to demonstrate there could be a synergy between the business and the arts, and we wanted to introduce our clients to Irish artists and open their minds to a print collection,” says Wilkinson. Despite changes in the economy, B&A has never deflected from its relationship with Graphic Studio Dublin (GSD), and in recent times has commissioned artists to come up with two or three images each year. The number of clients receiving the prints has grown to between 600 and 700. Some have been with the company since day one, and have built up an impressive collection of the prints. “We thought it would run out of steam, but it hasn’t. We check with our clients on a regular basis, people who have been with it from the start, and they seem very intrigued with building up a collection,” says Wilkinson. Indeed, B&A’s clients have received quality artists’ editions from the high profile GSD, an entirely artist-driven body. The organisation established in 1960 to teach traditional printmaking skills which at the time were unavailable in Irish art colleges, and to provide studios and technical assistance to artists to make fine-art prints. Its gallery was established in 1988, and today it has new studios in Dublin 1, where almost 60 members and up to 40 visiting and associated artists share studio space each year. “The commission has allowed the studio to support one artist annually to commit to a specific large scale commission, which is a unique aspect of commissioning Irish fine-art printmaking. 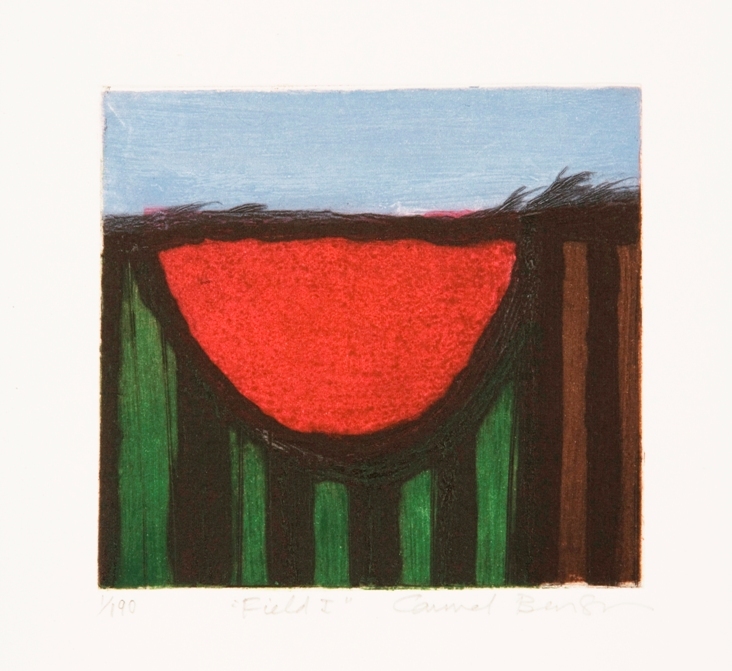 It was certainly groundbreaking on commencement of the project in 1988, and has been instrumental in raising the profile of fine-art printmaking in Ireland,” she says.